for $268,000 with 5 bedrooms and 2 full baths, 1 half bath. This 2,295 square foot home was built in 1989 on a lot size of 0.182 Acres. Very nice 4 bed plus 1 study, 2.1 bath with lot of recent upgrades. Recent upgrades include New garage door 2018, New Roof 2019, Water Heater 2017, New outside condensing unit and evaporator coil inside, Fridge is included in sale SS. 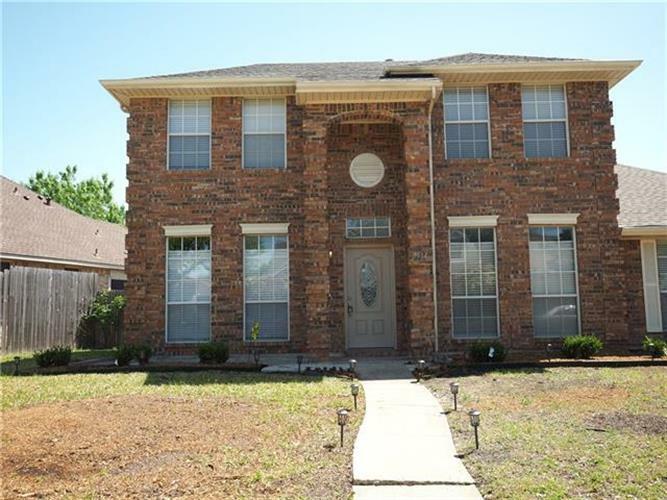 New fresh paint throughout head to toe (wall, ceiling, baseboard and cabinets) new carpet, new stair-rail, new install the storm door, all new faucets, new ss appliances, new blinds, install 2 skylight to bright the house, new light fixtures and mirrors. All ready for move-in immediately.